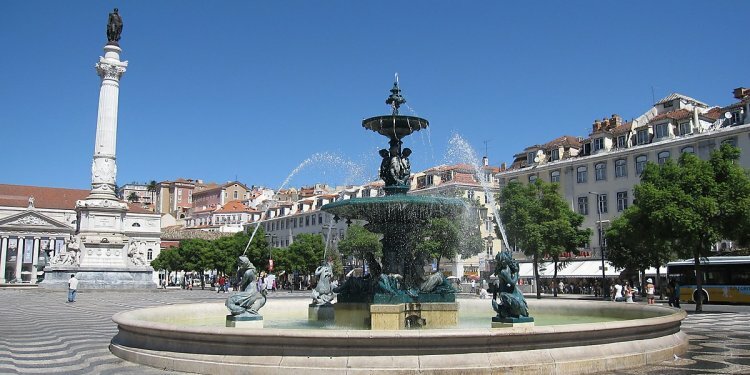 The picturesque Lisbon suburb of Belém lies on the banks of the River Tagus on the western edge of the city. A leafy residential area blessed with wonderful parks and gardens, Belém is forever associated with the era of Discoveries, a period of maritime glory when Portuguese navigators embarked on long and perilous voyages to chart unknown seas and map new lands. It was from here, in 1497, that Vasco da Gama embarked on his historic expedition that led to the opening of a sea route to India. Belem blossomed, and Portugal's king, Manuel I, ordered the construction of the vast Mosteiro dos Jerónimos and the Torre de Belém. Fortunately, these both survived the great earthquake of 1755 and today are two of the most cherished historic buildings in the country; both are UNESCO World Heritage Sites. Also here is the impressive Padrão dos Descobrimentos, a contemporary monument to the Golden Age of Discovery that soars over the riverfront. Complemented by a cluster of superb museums and a world-class cultural center, family-friendly Belem is easily reached from the city by train or tram. The wide esplanade that flanks the river provides a wonderful seaside stroll with excellent cafes and restaurants along the way. Among the most celebrated historic monuments in Portugal, the Jerónimos monastery is also one of the jewels in Lisbon's sightseeing crown. Commissioned by King Manuel I in 1501 and timed to coincide with the return of Vasco da Gama (1460-1524) after his momentous voyage to India, the church and adjacent monastery are considered the greatest examples of Manueline architecture in the country. The church's south portal is astonishing in its detail, with no less than 40 statues of ornate filigree embellishing the entrance. Inside, the nave is equally exuberant, the vaulting carved to resemble giant palms fanning out from slender octagonal pillars. Several royal tombs are placed in and around the chancel, including those of Manuel himself and King João III. Laid to rest nearer the entrance are Vasco da Gama and the poet Luís de Camões. Architect Diogo de Boitaca was originally tasked with designing the building but the sumptuous carved stone arches and balustrades in the cloister are the work of João de Castilho, who replaced de Boitaca in 1517. The monastery was occupied by the Order of St. Jerome (Hieronymites) until 1834. This is one of the most beautiful and tranquil religious sites found anywhere in Portugal. Indeed, its cultural significance is such that it has long been a UNESCO World Heritage Site. Jutting out of the water off the Belem riverfront, the quirky-looking Belém Tower is one of the most recognized of all Lisbon's tourist attractions and has become a symbol of the city. Completed in 1521, it originally functioned as a fortress to defend the mouth of the River Tagus and would have sat in the middle of the estuary (time and tide has shifted the river's course). The tower was built during the reign of King Manuel I and as such is regaled with plenty of Manueline architectural symbolism - carved stone maritime motifs like coiled and twisted rope, armillary spheres, and the Cross of the Order of Christ, a military order that helped finance early voyages of discovery. The tower's interior is arranged over various levels, and a tour takes you from the lower battery, which served as a magazine and a dungeon, to an upper terrace where splendid views of the river and Belem's waterfront can be admired. Along the way, you'll discover a beautiful Renaissance loggia and a weathered rhinoceros' head among other surprises, but you'll have to climb a very steep spiral staircase to find them. Not surprisingly, this unique example of military architecture is a UNESCO World Heritage Site. On a hill overlooking Belém, the construction of the National Palace of Ajuda was ordered by the Portuguese royal family in 1802, but was incomplete when the they were forced into exile in Brazil in 1807 during the invasion of Napoleon's troops. The neglected building only became a permanent royal residence when Luís I became king in 1861 and married an Italian princess, Maria Pia di Savoia (Queen Maria II).